There is a reason Stephen is so many people's first choice when they are looking into Magicians. From absolutely show stopping tricks to his professional yet charming personality, Stephen never fails to disappoint. Whether your event is a Wedding, Private Party of huge corporate function, Stephen will have something for you, and will leave your guests truly impressed. 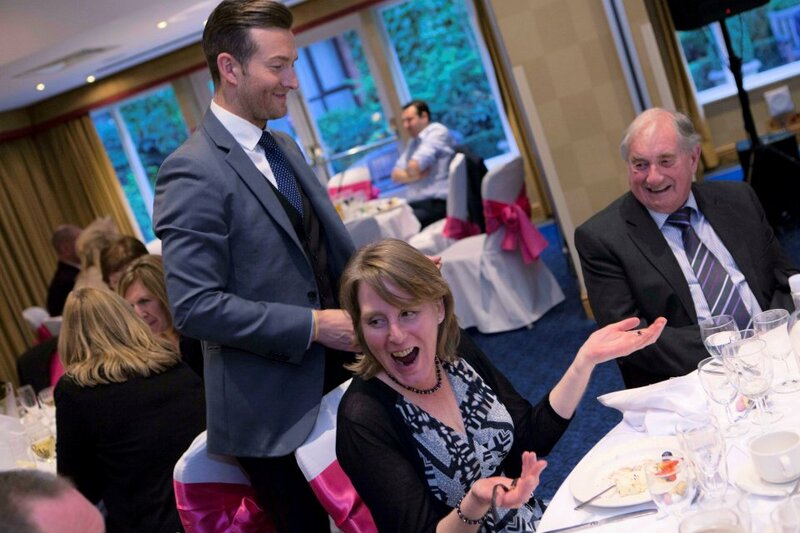 A professional Magician should have great reaction shots, Impressive show reels, a good client list and great reviews… but what Stephen offers is much, much more. Stephen offers the perfect event, so perfect that people will remember him and most importantly your event forever. You will get the credit for this! Events are very expensive and VERY IMPORTANT! There are many unknown problems people run into. You need a strong foundation throughout and even top event organizers are blown away at Stephen’s methods. 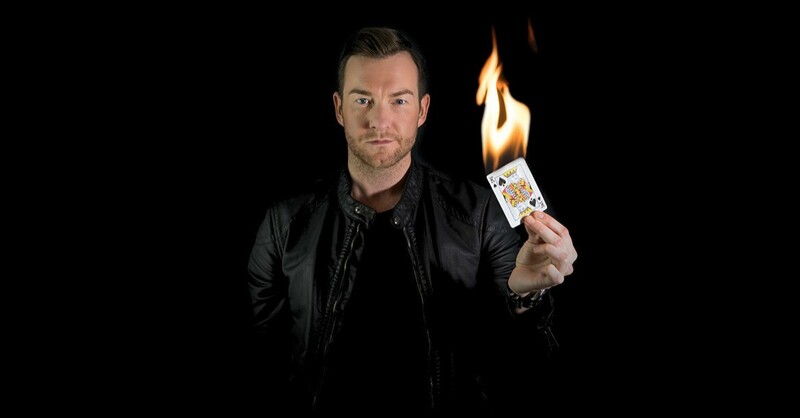 With his incredibly strong magic and unique set of skills he can fine-tune, remap and boost your event into the A list status. Stephen is not an addition to your event, he is an asset that holds unbelievable value. You can always hire a Magician… or you can invest in Stephen. His ever growing client list of companies like Aston Martin, Warner Brothers studios, Disney and A listers doesnt lie. David Beckham - "Wow!... really good! " 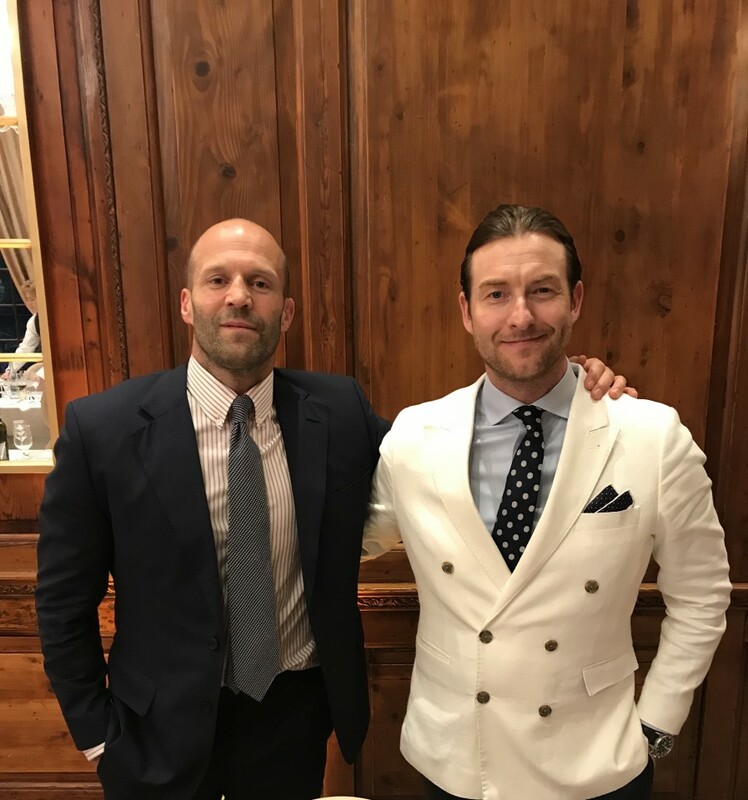 Jude Law - "I wish I could do that!" Number of Reviews and Counting... 132! Stephen is an elite professional and knows how to make people feel good and at ease! 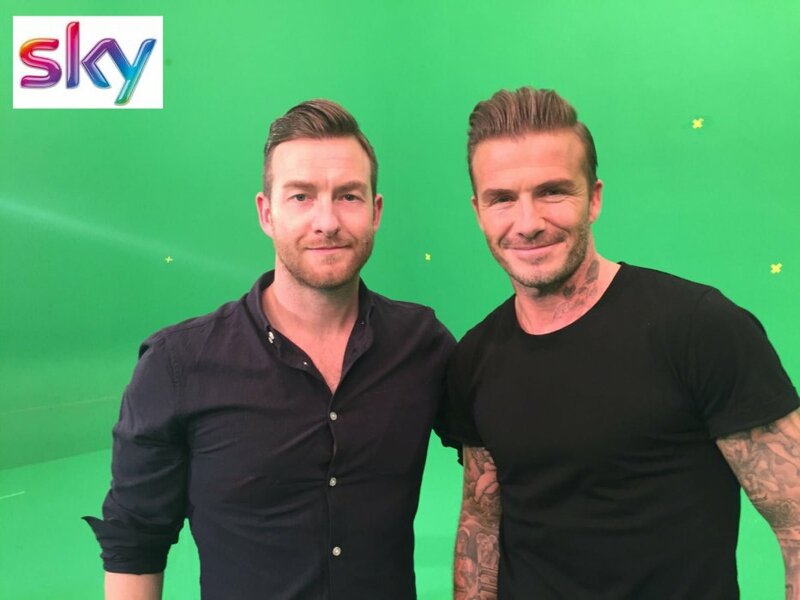 That’s why Sky Television trusted him to work close with David Beckham! That’s why huge companies like Aston Martin, Warner Bros studios, Disney Studios choose him to entertain their VIP clients and consult on big movies like Star Wars The Last Jedi. He performs at over 200 mixed events every year (no event is every too big or too smal) and his career spans over 12 years as a professional, with TV appearances and hand doubling for famous actors in TV and film. It’s no wonder big studios and media companies come to him for advise for media productions on magic, card games and conartistry, no matter how big or small the production is. He specializes in bringing the best out in people and raising the bar at any event. 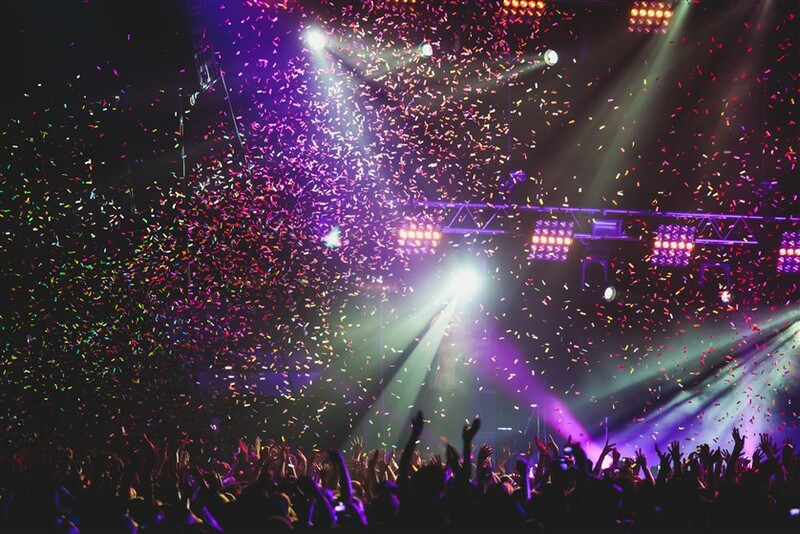 His client list is vast and expanding more and more each year, including preforming for the British and foreign Royals, A list celebrities and the worlds most prestigious and up and coming companies. Jason Statham - " That Rubiks cube trick! Brilliant! " Gary Lineker - "Brilliant! Just Brilliant! " Will Farrell - "Dude, you're awesome... weird but awesome." 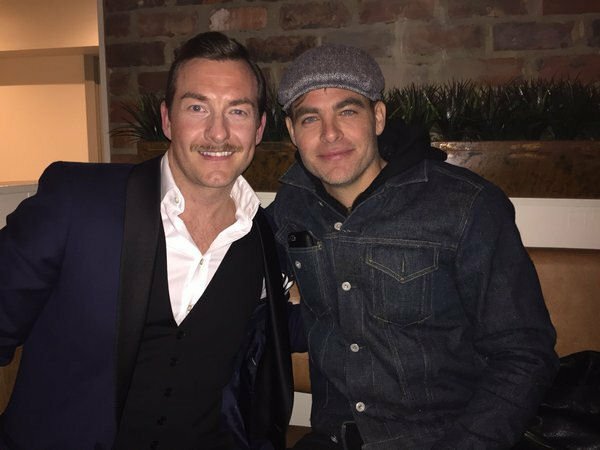 Chris Pine (Star Trek JJ Abrams) - Whoa!, What the Hell!" Prince Andrew - "Sensational and very funny!" Sarah Ferguson - "That was amazing!" Robert Downey Jr - "Watch out David Blaine!" Stephen was punctual, professional and a delight! He made everyone feel comfortable and was very sociable, friendly and clever! His tricks were amazing and had everyone wondering "What?!". He moved round the room and slipped into groups, easily astonishing everyone with his skill. Would definitely book him again! Emily at Warble was excellent - she was friendly and made some great suggestions and put Stephen forward as being a friendly and good entertainer - which he was! Would definitely use Warble again. Stephen was absolutely marvellous!! He mingled with everyone and I could hear gasps of disbelief. He then did a stage show, which again was amazing. I could recommend him without any hesitation. He made my birthday so enjoyable for everyone there. Many, many thanks Stephen! Stephen was absolutely amazing. Our corporate event was quite relaxed in the evening so Stephen joined us at the bar to entertain us before moving through to the dining area where he moved from table to table. 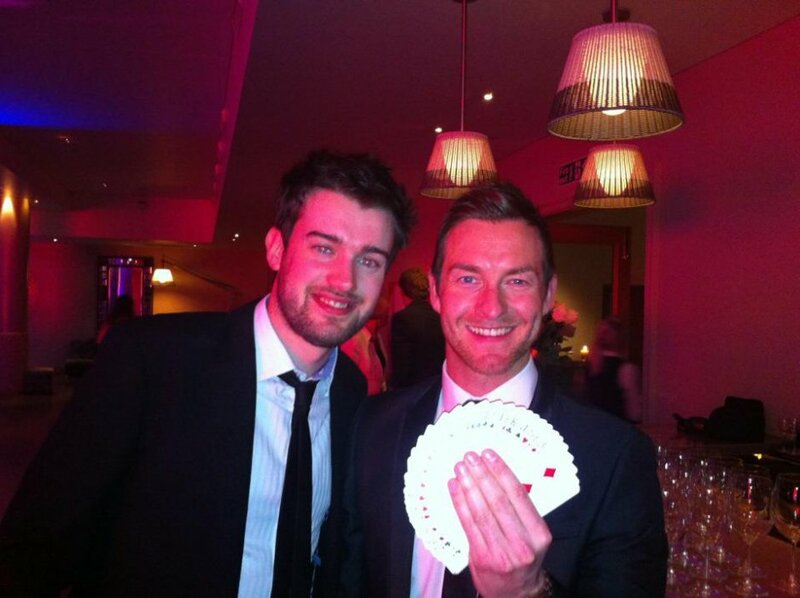 Some of the guests were following him around the room to see if they could work out how he did some of the tricks. It was fascinating to see the magic up close and quite mind blowing at what he could do. Back in the office the following day everyone was talking about how fantastic he was. I would most definitely recommend Stephen and would book him again. Thank you very much. He was absolutely fantastic! A pleasure to deal with and very professional. People are still talking about him 3 weeks after the show. Absolutely brilliant. More than happy with the service, magic and the rapport with the guests. Perfect addition and end to the party. We hired Stephen for a 60th Birthday celebration & he was amazing!! Had everyone enthralled. Definitely recommend. Stephen was AMAZING! Everyone was so impressed by him. Lovely friendly chap as well! 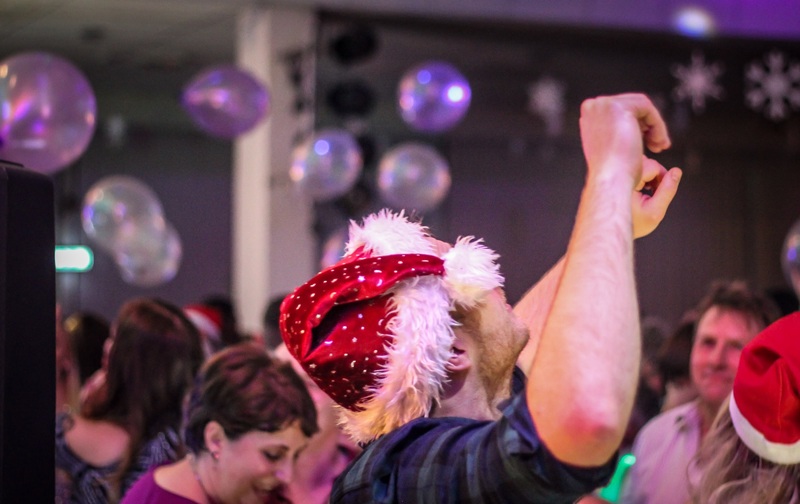 Stephen was an absolute star and made our Christmas party an even bigger hit with our staff. He was entertaining, humorous and had his audience captivated with his magic. The decision to book him for our party was one of my better ones and I’d have no hesitation in recommending him for any type of event or party. He made a great Christmas lunch an amazing one! Stephen was brilliant. All ages enjoyed his magic and we would certainly recommend him. 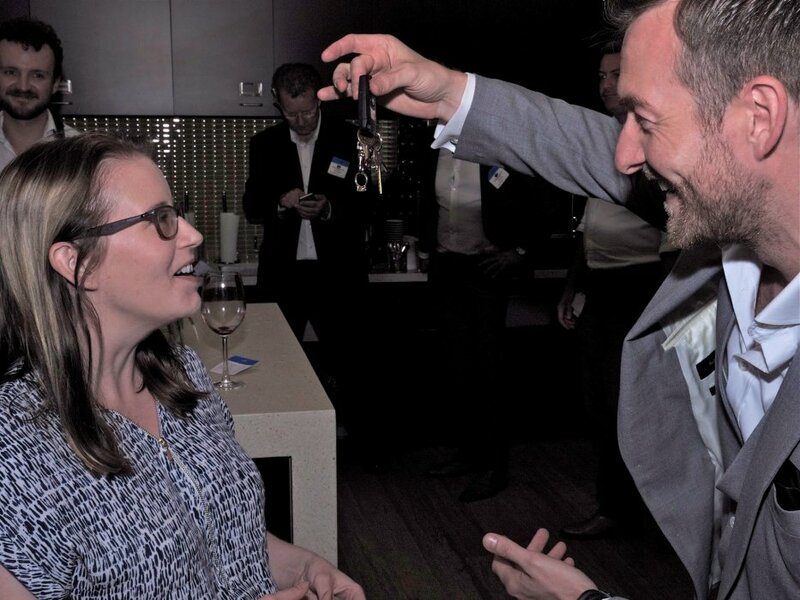 Warble entertainment’s booking process was easy, and Stephen the magician was outstanding. All of our guests were absolutely amazed by his performance. Stephen effortlessly played the room, mingling with the guests beautifully. Photographs prove that he caught people by surprise & wowed them. As for the 100 12 year old's, he kept them captivated with their mouths wide open... or was that another bit of Stephens magic? Stephen was outstanding, everyone loved his magic and were full of praise for his slick presentation and pleasant manner. He really provided excellent entertainment which really made the party... highly recommend Stephen, everyone is still talking about his magic! 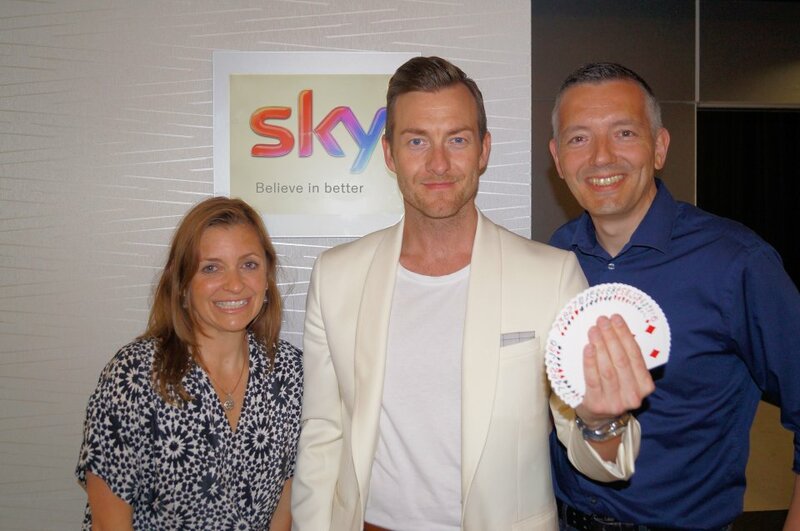 Stephen was absolutely amazing, he wowed everyone with his magic - all of our guests commented how brilliant he was! 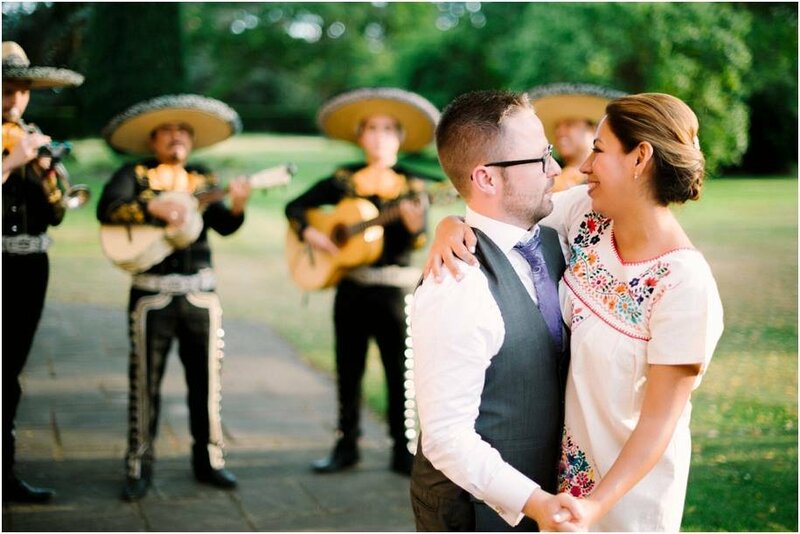 He has an amazing talent and we were so pleased we booked him for our wedding, I wouldn’t hesitate to recommend to anyone, thank you so much for being part of our day! Hi, I just wanted to take this opportunity to say a big thank you to Stephen for the amazing job he did at our wedding reception on Saturday. Leading up to the event, he was incredibly professional and timely with all communications. On the evening, our guests were completely blown away! It was wonderful to hear the squeals and gasps of shock from around the room as he demonstrated his close-up magic. Furthermore, he is engaging and charming without being in anyway smarmy or corny, I have to say that he really made the evening very special. I just need another reason now to book him again! Stephen was great - he will be highly recommended to other company parties and the guests were delighted by him. Absolutley FANTASTIC. We were all completely amazed with the whole experience. Stephen's charisma, charm and wit left us all in awe of his excellence. WOW! 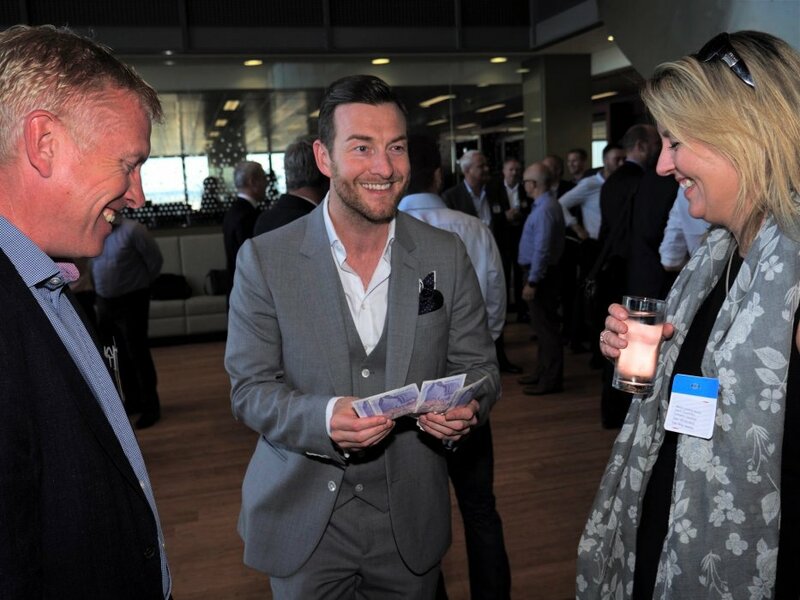 Everyone was in awe of how he managed to pull of those close up magic tricks. Stephen was also super lovely and charming and was one of the talked about acts at our event :) Very impressed! Absolutely brilliant!! Stephens magic tricks were simply amazing and left our guests speechless. Stephen ensured he saw all guests throughout the time he was with us. The feedback I received from everyone was amazing! Stephen also took the time to come visit myself and the groom on the top table before he left to check everything had gone well and to wish us the best. Prior to the wedding, Stephen was very professional and quick to respond to any queries I had. Thank you Stephen!! Would 100% recommend. Stephen was fabulous, he wowed all our guests and we have had many messages telling us how good he was. Very nice chap, personable, timely and likeable! I booked Stephen as a surprise for my daughters wedding. He was absolutely fantastic and everyone was amazed by his magic. My daughter was very impressed and felt that he made her wedding day perfect. The booking process was easy and as promised Stephen rang me a few weeks before the wedding to confirm arrangements. I would highly recommend Stephen for any celebration.Thank you very much Stephen. Worked the audience well and really added to a great occasion. Would recommend Stephen. A great experience from start to finish, delegates really enjoyed the addition of having Stephen there will definitely book again. Stephen's magic is amazing! He was a great mix and mingler to bring the guests together at our house party. Book him, You won't be disappointed. True professional, worked the crowd well and delivered some great magic. Fantastic act... everyone still talking about it! Thanks so much, Alexis. Stephen was fantastic! He engaged with all the guests and both adults and children loved his tricks! Stephen was punctual and just fantastic at the event. The bride and groom really, really enjoyed the time he spent with them at the top table. I'd definitely recommend him - thank you for making our event even more memorable, Stephen. Excellent night. Thoroughly amazed by Stephen. We will be talking about his magic show for months. Extremely impressive tricks and a very kind manner. Stephen was incredible. All of our customers were saying the same and couldn't believe the tricks he was doing. He was amazing. He was even better then we expected! He was worth every penny. People were naive when they heard he was a magician but by the time Stephen was finished, they had no response. He was so good. We will definitely book him again in future. Worked really well with our guests, even the ones challenging him. Was a great magician, made us all laugh and thoroughly entertained us all. Brilliant tricks, very personable and relaxed but thoroughly entertaining. Was appreciated by all guests from teenagers to older guests. Stephen was a really nice extra touch to our party, we would highly recommend him. Stephen is nothing short of superb. Astounding magic tricks which left young and old utterly bewitched. He is a consummate professional, fun to talk to and great at building rapport with his audience. Thank you! Stephen was a great part of our entertainment and engaged well with our guests. Thank you, best wishes. Sally Huxham, Wrigley. He was great and really got the party going. Stephen was fantastic. Raucous laughter of awe. Everyone commented how amazing he was. All the students and staff were very impressed. This is the second time we have booked Stephen and we would thoroughly recommend him! Stephen made our day. He was very funny and everyone thought he was amazing. A top guy! 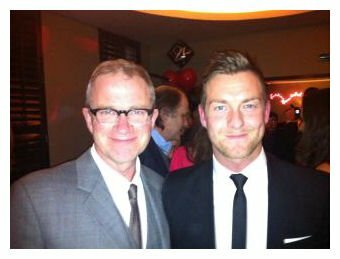 Everything from the booking process and support from Matt at Warble, to Stephen's flexibility, punctuality, showmanship and calibre was of the highest standard. Stephen really added an extra dimension to our night which was hugely appreciated, and we felt very fortunate to have him there! I wouldn't hesitate to recommend (or re-book) Stephen anytime, or suggest Warble Entertainment in future. Many thanks again! 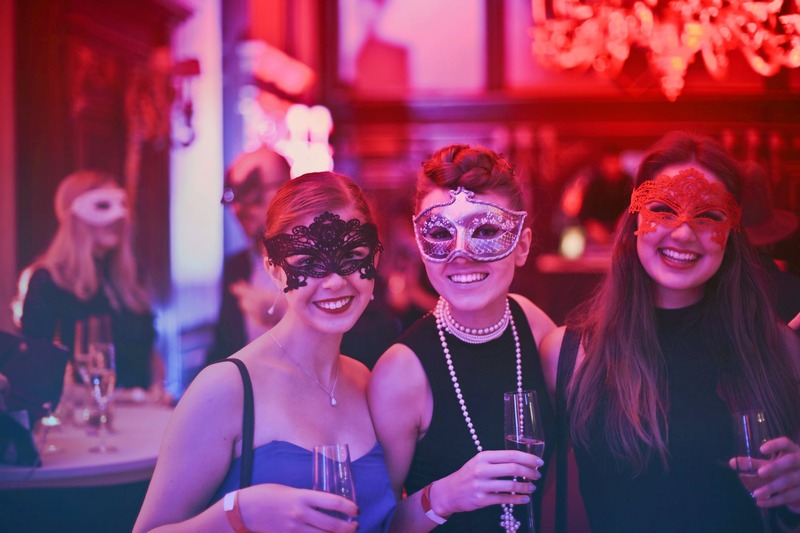 Wonderful, kept the guests entertained throughout the evening with intrigue & mystic. Stephen was brilliant! He went down a storm. Everyone loved his tricks and were left bewildered with how he pulled them off! I highly recommend Stephen and I am sure he can make it to the very top! We had good contact with Stephen prior to the event and he asked all the right questions to ensure he had good visibility of the aims of the day - the team at the event left the following feedback - Stephen was very engaging with both us and the customers, hard-working, great magic tricks which he understood the people he was dealing with. Overall, very good. Stephen attended our long service awards evening on Friday 27th January. To say we were all impresed is probably a little bit of an understatement. Stephen interacted well with everyone during pre-drinks and throughout the meal, he was friendly and really drew people into his magic. His magic itself was unbelievable, I have always been a bit of a sceptic when it comes to tricks, however when it is done infront of your very own eyes you really can't question the talent! Stephen was very professional, arived in plently of time and made sure he got round to as many tables as possible, all evening I heard great comments from the guests. I am very pleased I booked him and will definitely be passing on my recommendations! Thank you. Stephen's close up act was very good indeed and we were all left wondering 'how on earth??? ', wouldn't hesitate to recommend. What an incredible act! We thought Stephen was absolutely amazing as well as witty and very charming. He had us captured from start to finish. We would highly recommend him and will definitely look to book him for our next party. Stephen was great and extremely popular with our guests. Stephen was definitely a positive addition to our evening entertainment. 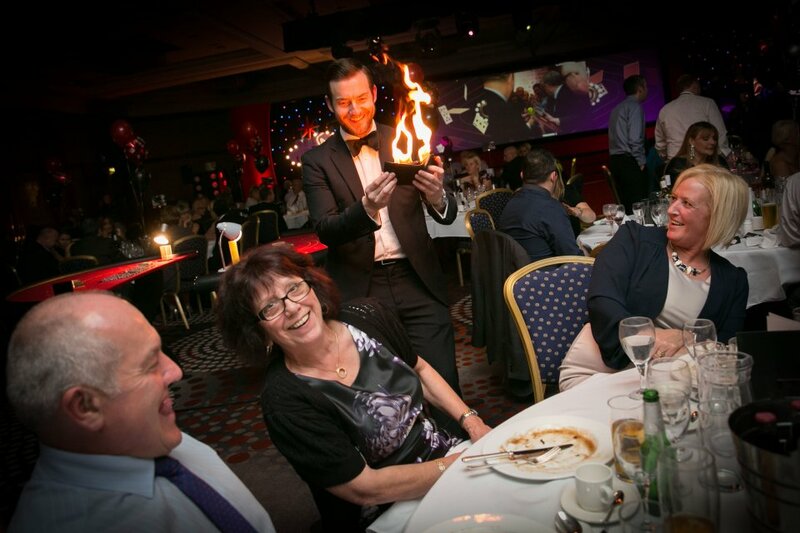 He was very professional and wowed our guests with the magic that he performed. Stephen was fantastic on the day and managed to navigate his way around all 19 tables during the 2 sessions. Although the timings were stretched it never felt rushed to all my colleagues and the amount of positive feedback I've received since the event (about Stephen in particular) shows what a massive success he was. Absolutely brilliant and will definitely book him again! Thanks, Ian. I thought the booking process was very easy and all enquiries I made were quickly dealt with. I was particularly impressed with the flexibility when I changed the timings a few times! Stephen was fantastic, I've had lots of people comment on how good he was. I'll be recommending him to another friend. I've since heard from Stephen, which I think is a nice touch. Very easy going. Easy to work with and fantastic magic! Stephen performed at our evening wedding reception and he was brilliant! Great tricks and all our guests were very impressed. He made a point of coming to find us to show us a couple of tricks which was greatly appreciated. Would definitely recommend. Stephen was absolutely incredible! Everyone is still talking about him almost a week later and wouldn't stop saying how good he was all through the night. We booked him for the evening at our wedding. Not only were his tricks amazing, seriously amazing, he was a lovely guy and I would definitely both highly recommend him and rebook him in the future! Don't look any further! Book him! Stephen was just fantastic! We were all thoroughly entertained watching Stephen perform his magic. There is no question, I would absolutely recommend him for any party. The way he worked the room was brilliant as well as the show that he performed for us all to watch. It was a big talking point for the rest of our evening. Thank you to Warble Entertainment for your efficiency in helping secure Stephen for our evening. Arrived early, professional and provided AMAZING entertainment that really wowed guests. Would definitely re-book and recommend booking Stephen! 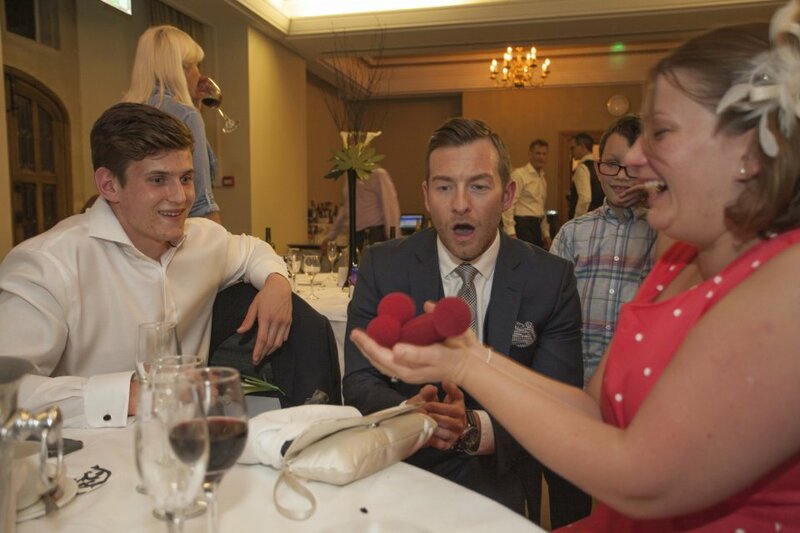 Stephen wowed our guests with his incredible magic. Lots of jaw dropping and confused faces and thoroughly entertaining! Thanks so much! Stephen was great! His performance was amazing and his interaction with all the attendees was fabulous. Apart from his amazing performance he was a really friendly guy and we would certainly hire him again and recommend him to our clients. Stephen was amazing! The students and staff were very impressed and I was asked all evening about how to book him and where I had found him. Please pass my thanks along to Stephen once again as he added another element to the evening which was truly magical! Stephen was fantastic!! We were super happy with his performance and he went far and beyond what we had booked. He stayed much longer and the societies/volunteers loved him! He performed very impressive tricks which had people gob smacked! He was also extremely professional and friendly throughout the night. We will certainly look to book his services again! He was the star of my 80th Birthday Event. Outshone the host! Absolutely sterling service by Stephen, positive feedback from dinner guests came through all evening. Thank you Stephen. I look forward to working with you again. Hi Nicola, Thank you so much for organising Stephen on Saturday, he went down a storm! 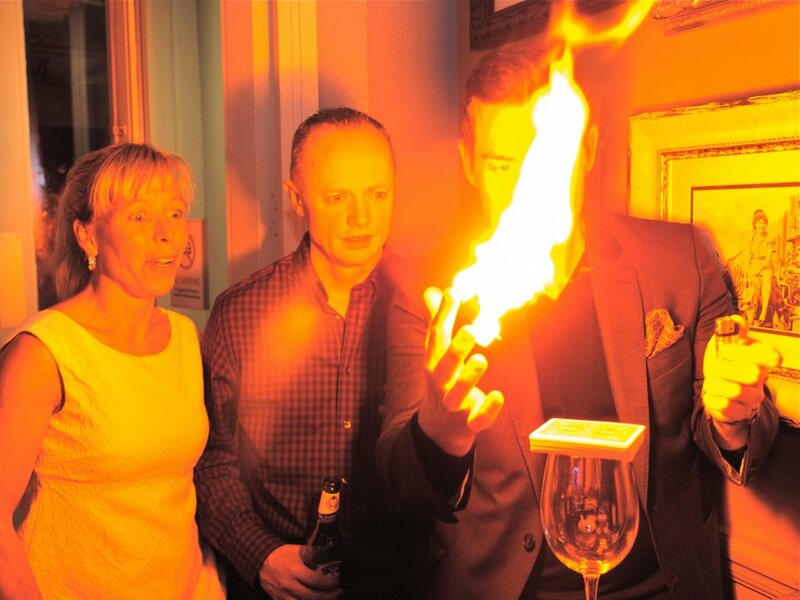 Amazing tricks that had the guests spellbound. Easygoing chap. Booking process easy and good value for money. Absolutely amazing - Stephen entertained our guests throughout the afternoon and all of the magic tricks were very impressive. We have had so much positive feedback from everyone. Stephen the Magician was great at our wedding!! He made our day fantastic. Everyone is still talking about him, with all the magic he did. He was good to get on with as well. Thank you very much. I'll be using him again for other parties. Stephen was simply amazing! What a fantastic entertainer, brilliant at what he does and charismatic too. Everyone loved him and even a month after the event, people are still talking about his tricks and marveling at what he was capable of - just bloody brilliant! :) And he wasn't time conscious either, happy to stay a little longer and make sure everyone had fun - can't say enough great words about him and his skill as a magician - god knows how he did some of those tricks!! In fact Jose's work colleagues loved him so much that they've booked him for their Xmas do! Thank you Stephen for making our day, just that extra bit special, you're a superstar! Marvelous magic, perfect professionalism, easy on the eye. Chosen for our Golden Wedding party with a range of ages, Stephen is professional, entertaining and funny. This was close up magic at its very best leaving everyone saying how on earth did he do that? Highly recommended would book him again. Plus excellent service from Warble. Stephen was very entertaining, kind, and helpful! He arrived early, and was ready to go with plenty of time. He was very professional, and even offered help to the event staff. His performance was age and audience appropriate. We were very pleased to have him. Please extend a big thank you to him! The booking team were also very helpful. 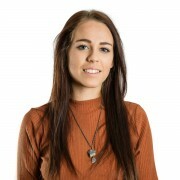 Emily Hudson was dealing with our booking and was kind and patient from the start to finish. I know we were not an easy one to manage, but she was always very helpful and prompt in her response. THANK YOU AGAIN! He was AMAZING! I hired Stephen for my birthday party at the local racecourse. It was a fabulous evening all round, but my guests are still talking about how good Stephen was. Several of them have been watching him on YouTube to get more of his incredible magic. He rang me a month before the event to check the booking details and again the day before to check on the dress code. Thoroughly professional throughout. 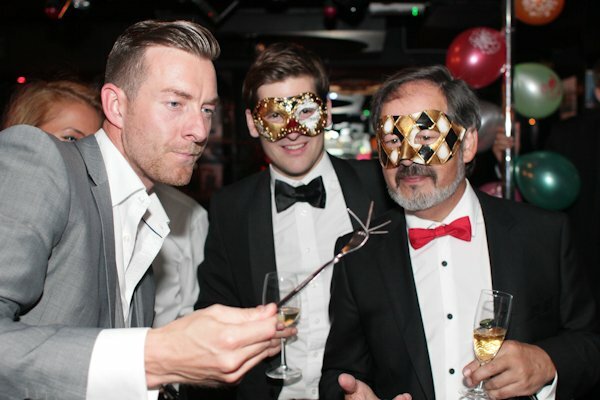 He spent 2 hours mingling with guests firstly at the drinks reception and then continued to amaze everyone with his incredible tricks. We thought it couldn't be bettered, but when he started making wine bottles move through tables and signed £20 notes reappear inside whole limes we were all dumbfounded. He is such a pleasant and hugely talented man, well worth the money. It was wonderful to meet him and to witness him working his magic on all my guests. Thank you Stephen. From Helen R.
Good Afternoon, I just wanted to drop you a quick note to thank you very much for arranging Stephen the Magician to attend our event last Thursday. He was absolutely brilliant and everyone loved him. When we arrange our next event you will be our first point of contact should we be looking for a Magician in the future. Many thanks for all your help. 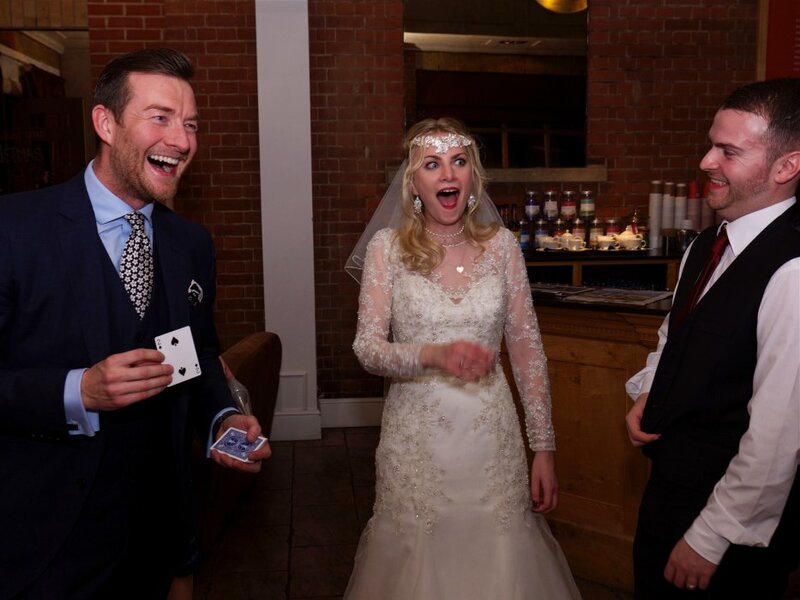 Fantastic magician who entertained, bamboozled and astonished the guests! 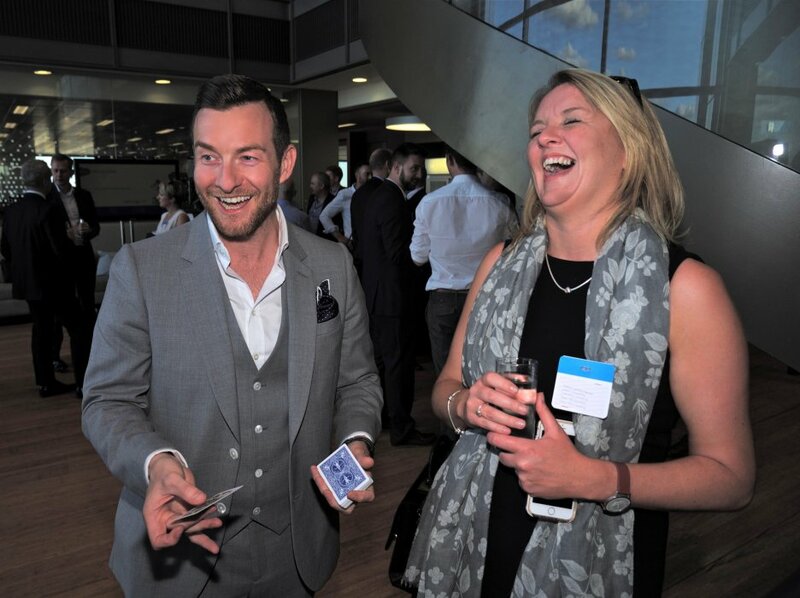 We were absolutely delighted, as were our guests with Stephen The Magician. He was brilliant, very talented and a delight to have at our Wedding Reception. I only have the very highest praise for his professionalism, punctuality, contact before to go over requirements, his manner, conduct, appearance, ability to mix and mingle with our guest (from Granny to the Groom's Boss) and his magical abilities. 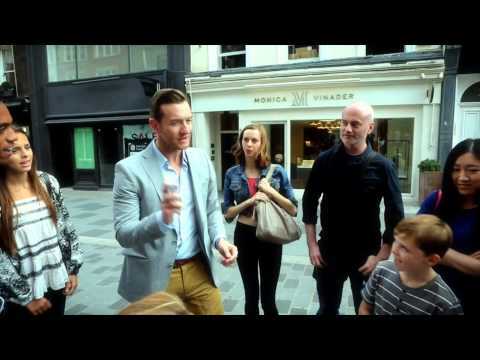 He amazed and astounded absolutely everyone, flabbergasted most and left the few non-believers in magic still talking 4 weeks after the event on how he did it. I believe in Magic and Stephen just proves it! I would absolutely and without reservation recommend Stephen The Magician for any event and would like to thank him for a superb performance and for making our reception truly one to remember. Thank you. Thank you for your help. The magician was on time and impressed our guests (especially the blonde haired bridesmaid who said she would love if it was possible to have a date but didn't have time to or the courage to ask). Thank you for your kind words and sentiment. We had an absolute blast with Stephen at our lunch last week! Your service was second to none, fast, efficient and friendly and I will definitely be coming back to you for future events. Stephen was charming, friendly, most of our female staff wanted to take him home and more importantly he made us laugh!! We are all still reeling from his amazing performance and trying to work out how he did his tricks! I will definitely use him again for future events as it was a real ice breaker and a talking point. By far the best slight of hand magician I have seen in a long, long time! I would like to thank you for the act's booked for my party that was held at the weekend. Sensational Abba - What lovely people, our guests absolutely loved them, very realistic and professional, well worth the fee, made my party go with a bang. Stephen - absolutely brilliant, very nice likeable chap and again worth every penny. Thank you for your help, please pass on our gratitude to your acts, I will not hesitate in recommending your agency to friends and business colleagues. Stephen was a great success at my daughter's wedding reception on Saturday - gasps of astonishment and shrieks of laughter regularly punctuating the buzz of conversation in the marquee. He arrived in good time, worked the tables throughout the meal and conducted himself in a most friendly, personable and professional manner. Everybody loved him, and a number of people have asked how we booked him - we have referred them to Warble Entertainment. Thank you for providing such an excellent service and a great artist. Everyone thought Stephen was brilliant! He did a great job and has a lovely personality and developed a good rapport with my neice's young children (they are now going to practise some magic themselves!). We would thoroughly recommend him. Thanks for your note. Yes, everything went really well. Stephen was fabulous - I personally didn't get to see him as much as I would have liked, but from what I saw and from all the feedback I had, he did a great job, there were lots of oooh's and aaah's!! I would recommend him to anyone and this was money well spent. Thanks to you too for your work in organising him for me - I'll recommend Warble to people in future also. Tracey, you provided an excellent service - very efficient and knowledgeable. Stephen was amazing - EVERYONE loved him - I will certainly be booking him again as soon as possible and I can think of an event for him - just brilliant - funny and talented - he certainly made the party special. Thank you again to all. Stephen performed at our wedding and was the star of the show- our guests could not get enough of his act on the night, and have been talking about it ever since. In addition to Stephen's amazing performance itself contributing heavily to the enjoyment of our day, Stephen was approachable, punctual, extremely polite, and generally very cool. Everything we'd hoped for and more- we highly recommend his services! Thank you, Stephen! Stephen was great. The party loved him. He dealt well with the inevitable wise guys and doubters and was cool and smooth as we had expected. We gave him a roving brief and he followed it. We had to throw some last minute timing changes at him and he dealt with those well. Basically we shook his hand at the start and left him to do what he does well. We had him working both table magic - close up work and also a couple of "room sized tricks" at half time whilst our singers took a break. Seeing was not believing and my sister still has no idea how he removed her watch in full view of a room full of people - none of whom saw it either. A great act, highly presentable and professional. Very good. Some of his tricks were simply extraordinary. Stephen was absolutely fantastic and went down a storm with our guests, we could have happily watched him all night. Would highly recommend to anyone looking to book a first class magician - thank you Stephen! Great everyone loved him he was very professional would definitely recommend him. Totally amazing!! Made our event extra special. Stephen was great and a charming chap to have around. The close up magic was most impressive and the post dinner spot very good. He even sent me a message the next morning which was a very nice touch. Warble were excellent - thank you - and the whole booking process was hassle free and smooth. Most excellent, Stephen help make the evening flow with everyone enjoying his tricks. Stephen was great at our wedding, everyone was amazed by his tricks even some that were skeptical about magicians. He worked so well with all our guests I would thoroughly recommend him for any event! Great personality to go with a talented magician! The agency was very good, answering any questions efficiently and the payment process was extremely easy. Stephen was absolutely fantastic, and was very flexible with timings for our event. He was fabulous entertainment and everyone loved him and were in shock with some of his amazing magic tricks. Definitely worth the money. Truly great! Punctual, polite and highly professional. Stephen was outstanding and contributed to the success of the evening. I will definitely look to book him again for future events. Further to the feedback on Steve the magician. May I also thank you as well. One of the key reasons I booked with Warble - is that I spoke to the same person all the time - and all of my questions were answered promptly, which provided the sense of a professional company who would deliver. Thanks again. Stephen was courteous, funny and very entertaining. 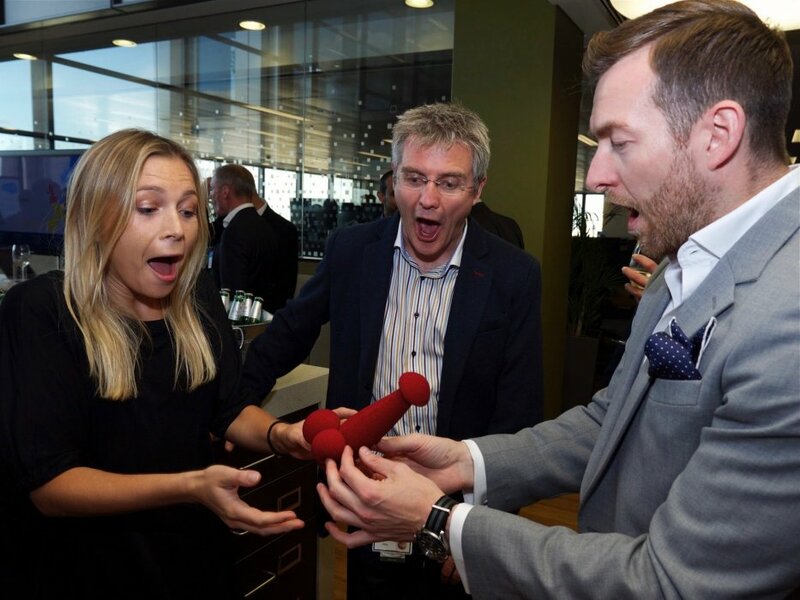 He went down a storm with our company and our Christmas party was better for having him around. The booking process was really easy with Warble and we would not hesitate in booking him again for a function and using Warble again. Great entertainment and all guests were amazed. With a tough crowd to please Stephen did a marvelous job of entertaining us at our wedding. The main stage show was good but the mingling close up magic after the main show was the best - keeping small parties of guests entertained and intrigued. Superb, everybody commented on how good he was. Arrived early, was very flexible with what to do and how to set up. And his magic was amazing. First class from start to finish. Great Magician, very sociable. He mingled well with the crowd and produced some brilliant illusions. I would highly recommend Stephen to anyone thinking of organising an event with a twist. Stephen made contact in advance and discussed exactly what we required. A very good all round entertainment and well recommended. Stephen was amazing at our wedding, entertaining and wowing adults and children alike. He did some brilliant magic tricks that left us stunned. I am glad to say that he was part of our special day and contributed to it being the perfect wedding. I would definitely recommend him to others. My son would like to know if Stephen wants to sell his fire wallet!! We cannot thank Stephen enough for his time with us at our wedding. All of our guests have individually told us how entertaining they found Stephen to be. He was also very friendly and mingled with all of our guests, bringing them all together. If possible, Stephen made our special day that much better and we cannot recommend his services enough. Very good and really recommended - really mixed well with the crowd. Everyone walked away amazed. Stephen had us all amazed, people were speechless. Would definitely recommend at any event brilliant! Thank you. Words cannot be found to sum up Stephen's immense talent. All throughout the night he continued to amaze and impress with every trick that he did. He made the party very memorable to everybody lucky enough to witness his act. I think I speak on behalf of everybody when I say that he left you feeling bedazzled by his ability. On a personal note, thank you Stephen for working the room as well as you did and making everybody enjoy the evening that much more. You're worth your weight in gold! Stephen is amazing. I would highly recommend him. Stephen was absolutely amazing! How does he do it?? All the guests were stunned with every trick he did and I liked his humorous edge. As he had such charm, he was definately more of a hit with the ladies! Definately going to reccommend him with such an unforgettable perfomance. Dear Stephen, Thank you so much for your performance on Friday night. The ladies were overwhelmed with your tricks and magic and haven't stopped talking about you since. The trick finding the signed note inside a whole lemon seems to be the one that has most of them wondering - How did he do that????? Thank you once again for a fantastic nights entertainment. Everyone really enjoyed Stephen. His slight of hand was almost unbelievebale - well it was to many!! He was unobtrusive in his style - well presented with a good personality. I would certainly reccommend him. Fantastic!! Left all the guests asking questions. Stephen has the skills and the charm, we wish him the very best for the future. WOW! That's all there is to say, this man is AMAZING! His sleight of hand is incredible. I watched him so closely and still couldn't work out how the trick was done, incredible. Will definatly recommend and use him again, well worth the money. Dear Tracey, Thank you so much for Mixtape and the magician they were both incredible and all guests thought Mixtape was the best band they have heard! I will be using both again I just now need an excuse for another party!!! Steve the Magician was brilliant and the guests just couldn’t believe the tricks he did which they had never seen before. They made our wedding day extra special. Thank you for recommending them. Superb act, very professional. So many of our guests commented on how amazing and entertaining he was. I would have no hesitation in recommending Stephen The Magician. What a guy! Stephen had the guests either speechless or squealing with delight right from the moment he arrived. Stephen is incredibly charismatic and shakes off the stereotype magicians can have. With such a busy event, we were impressed that he was flexible and happy to work around the other entertainers we had performing. Our clients were thrilled with the quality of his performance and we all feel he represents excellent value for money. 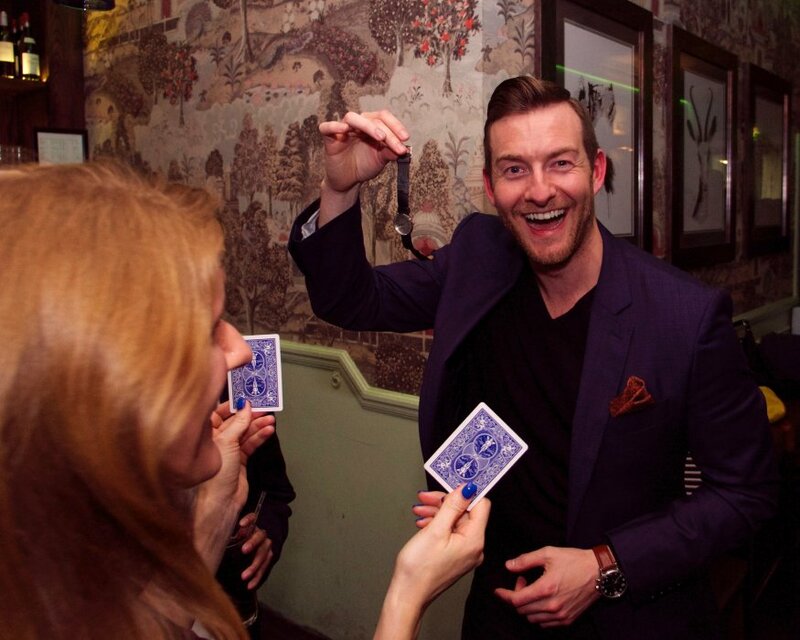 Should we be looking for a magician for any future events, Stephen will be our first choice. Stephen went down very well with everyone at the function. Leading up to the event he was in contact with myself to make sure everything was OK. I would definitely recomend him to others and I am still scratching my head over some of the stuff he performed. Please pass on my thanks. Hi Marie, Stephen the magician was very good in entertaining people, we were all amazed by his card and coin magic! Stephen works in all forms of magic including pick-pocketing, Ipad magic, Card Magic and Mind Reading. There's a host of tricks to wow your guests. Stephen is one of the UK's premier entertainers and has worked with some of the biggest names on the planet. There's a reason they choose Stephen time and time again. Stephen offers a money back guarantee to back up these endorsements. If you're not satisfied, you don't pay Stephen's fee! You will not regret having this standard of entertainment at your next event. Whilst Stephen is able to provide a PA for the cabaret slot, this will incur a slight additional cost. Please ask for details. You will not regret having this standard of entertainment at your next event. Using psychology comedy and other techniques he is a master at Magic and audience management! 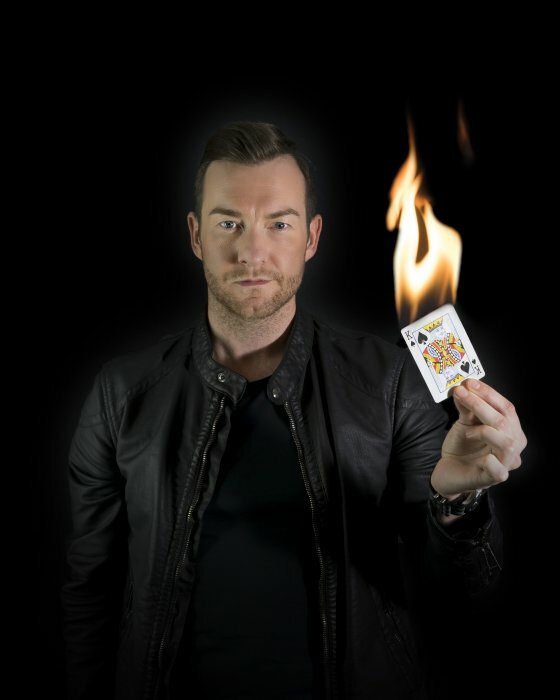 With Stephen you will get all the latest tricks, every style of magic and also many unique effects that only HE can offer. For trade shows and exhibitions, Let Stephen draw more people on to your stand than you could possibly imagine! Increasing footfall, brand awareness, making your company memorable, more leads and promising to increase sales! 6-8 hours bookings available and Custom magic tricks can also be provided with your company branding / message on it. Stephen’s Incredible modern (Derren Brown style) comedy mind reading and magic show will wow audiences from 20 guests to 2000. 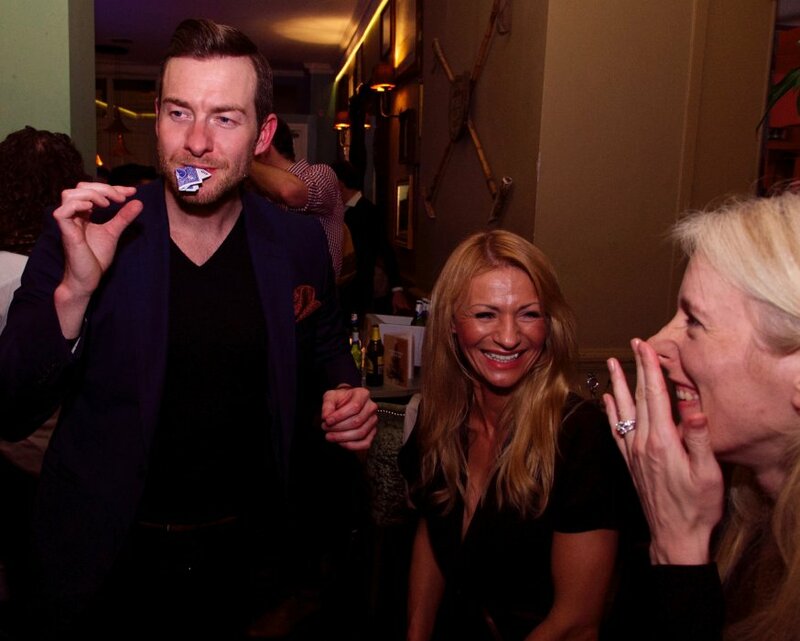 The class is finished off with a 1-2 hour close-up magic session from Stephen during drinks, lunch or Dinner. 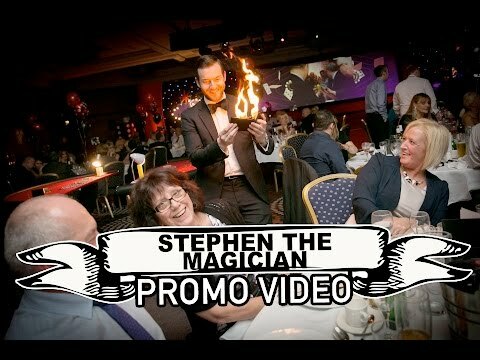 Stephen can offer advise for any magic show, card game, card cheating, cons and hustles for media productions. He will also come to the set and often hand doubles for actors. This is a negotiated day fee. When booked Stephen also offers a one to one telephone consultation to guide you into how best to use him and get the most out of his skill set. 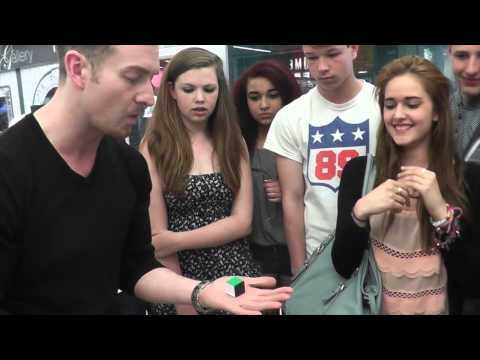 Customers who have enquired for Stephen The Magician have also been interested in the following magicians also available in Guildford, Surrey and the South East. For more information or further options, please call 0845 643 9384.